Never in a million years did I ever think I would be taking beauty tips from an eccentric and feather-loving 90-year-old. 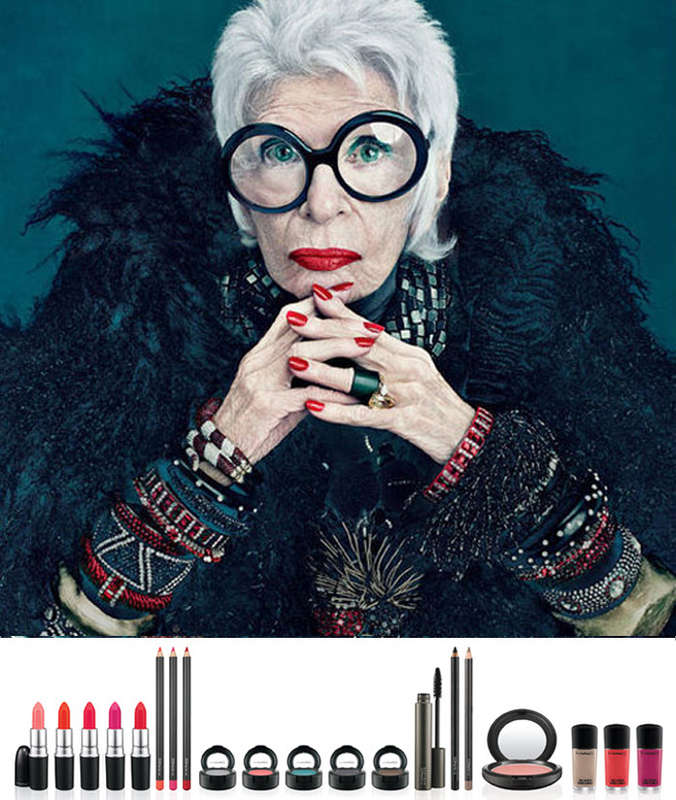 Yet, MAC and one of New York's longstanding style icons, Iris Apfel, have proven me wrong. The 20-piece line, which is mostly named after birds that were featured in a museum exhibit curated by Iris, is punctuated with bright gemstone hues and muted neutrals.This collaboration displays that this inimitably stylish granny has 9 decades of fashion and beauty wisdom under her belt and a keen eye for color. Keen eyes that happen to be bespectacled with enormous glasses and covered in green eyeshadow and tons of mascara. Are you not just DYING to get your hands on those lipsticks??? I want to hightail it to the MAC store pronto! I love eccentric old ladies. They give me something to aspire to. This is cute! I'd never have thought a 90 year old would be the face of MAC either, but I like it! She looks like a stylish one. Agreed! I love MACs bold colors and her eccentric style, together, amazing! wow she is such a fantastic women, so colourfull and always looking on the bright side of life, wonderfull! when I am that age I want those glasses.period.